Ford manufacturer has big plans with its racing lineup, the carmaker already sending the Fiesta WRC for some previous tests, all camouflaged a couple of weeks ago. 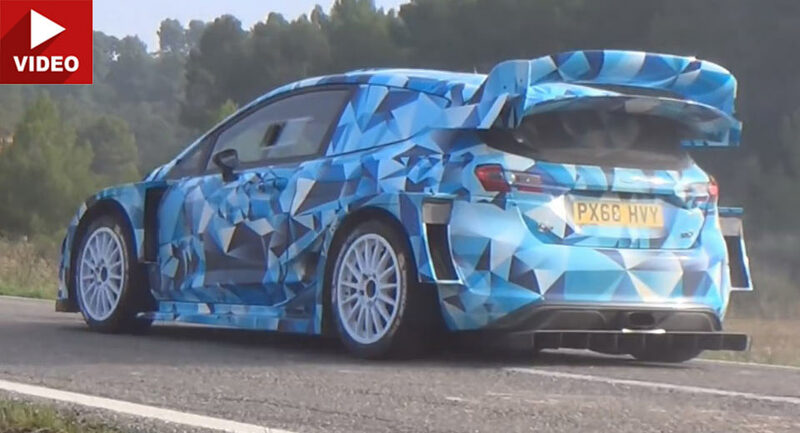 About a while ago, spy photographers have also caught the RS WRC version on a spy video while the model undergoing some tests before the 2017 WRC season. With all the new and more rigid FIA`s regulation concerning manufacturing, Ford manufacturer wants to make sure that everything is according as planned with the all-new Fiesta RS WRC. It must be more lightweight, wider and more powerful in order to cope with the new demands. And it seems that the 2017 Ford Fiesta RS WRC will comply with the new restricted rules, the model now coming with advanced aerodynamics and mechanics, highlighted by the new front end with much more prominent headlights and grille, adding horizontal taillights and a few other up-to-date styling features. We are not sure of the kind of powertrain the carmaker will be using for the new RS WRC version, but according to recent rumors, chances are that it would feature an EcoBoost mill with a 36-millimeter restrictor, with a total of 380 horsepower on the clock, meaning 60 more over the present model. As for the car`s impressive speed, Malcon Wilson, M-Sport CEO, declared a couple of weeks ago that the 2017 Ford Fiesta RS WRC “Is only the first prototype”, with the speed being “really incredible”. “We’re still fine-tuning the aero-package with our colleagues at Ford, but we have been able to run all of the mechanical components on the current bodyshell and the first tests have only strengthened my confidence in our ability to produce a winning car,” Wilson also concluded.